I totally love working in my kitchen and trying new things. This week’s challenge… home made mayonnaise!!! I love mayo with everything… yes… I am one of those… ? Anyway. 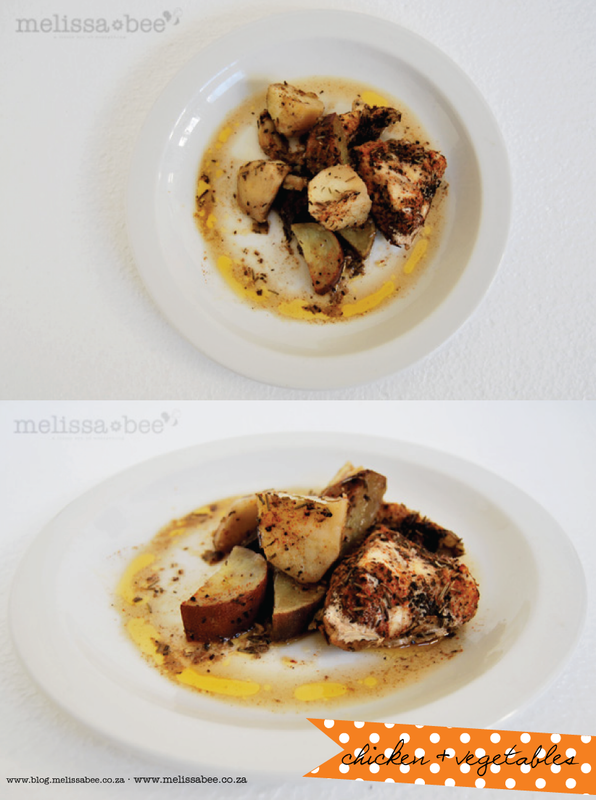 For this meal I cut the butternut into strips and fried them in about a teaspoon of canola oil. Once fried I sprinkled it with mixed herbs. They taste amazing. You can even leave them slightly crunchy. Delish. This recipe or method is something that my mom showed me many many years ago and I don’t think I have used any other method for making chicken besides using the oven. It’s very easy and could be a healthy alternative if you remove the skin of the chicken. Hello, it’s been a while, I know. Time just seems to go by so quickly. Well, today I have a quick recipe for cooking chicken. I make this most Sundays for lunch as its easy and everything goes into one pan, therefore cleaning is not really an option. I usually don’t use recipes, I just add everything in a pan or pot or oven tray and start cooking. This one that I am showing today, can be made a few different ways. All you would need is chicken and vegetables. Use different types of vegetables: butternut squash, broccoli, squash, carrots, baby marrows, etc. In an oven tray add the chicken, potatoes and sweet potatoes. Add salt and pepper to taste and add your other spices. For this recipe I used Robertsons Mixed Spice, Robertsons Rosemary Spice, Robertsons Cayenne Pepper and Robertsons Chicken Spice. Be careful not to use too much Cayenne Pepper as its very spicy when combined with the Chicken spice. We found this out the hard way, but it was still very tasty. Peel and cut your garlic as big or as small as you like. I sometimes leave it whole, or I just cut them up randomly. Drizzle about 2 tablespoons of olive oil. Cover the dish with foil (shiny side inside) and place in oven and back at 180 degrees. Cook for about 45 minutes. By this time all the vegetables should be soft and your chicken should be really moist and tender. If not, cover again and cook another 10 minutes. What I love about cooking this way is that no matter which part of the chicken you are cooking it will ALWAYS be soft and juicy and it locks in all the goodness of your vegetables. Even if you use chicken without the skin, the moisture created by using the foil will still give you a very tender piece of chicken. That’s all from me today. 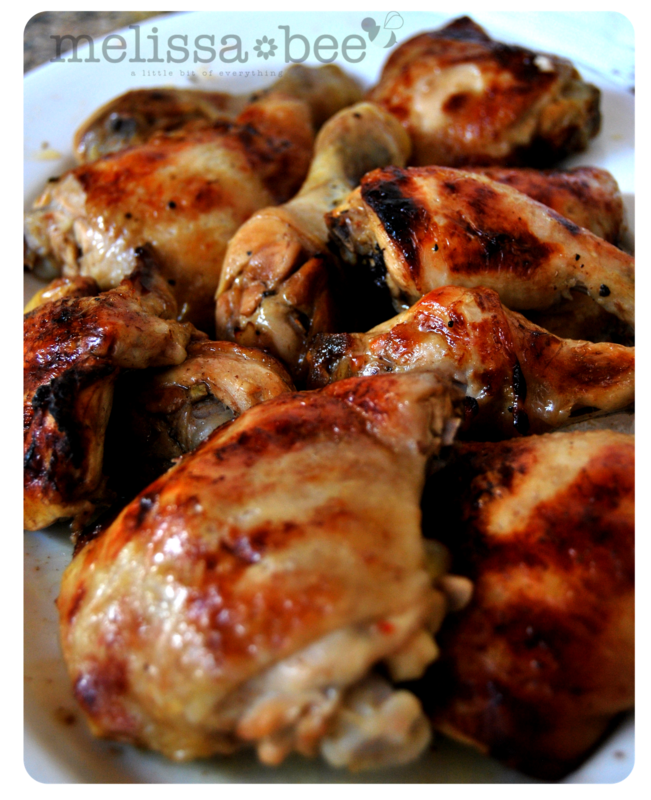 I made these delicious chicken pieces a few days ago with normal marinade. Marinade chicken and place in oven dish and cover with aluminium foil, shiny side inside. Bake for 40 – 45mins (or until done) at 180 degrees (or 350 degrees farenheit), you will need to check on your chicken occassionally. Once done, remove the foil and grill for a further 10mins or until golden brown.